I bet our great-grandparents had an amazing time growing up in Slovakia! The whole year revolved around partying and merrymaking! Okay, so that’s probably a simplification. But the villagers of the days gone knew how to celebrate life. Winter was the season for parties and holidays – I guess this was the time between when harvest was collected and new seeds were planted. The first set of celebrations occurred in winter, before Christmas advent set in. But as soon as the Three Kings day rolled around, signaling the end of the Christmas season, it was time to put on the dancing shoes, round up some musicians, and start frying šišky. The period between Three Kings day (January 6th) and the Ash Wednesday (Popolcová Streda, March 9th this year of 2011) is known in Slovakia as Fašiangy. This is when people dressed up in costumes, just like is done nowadays at the Mardi Gras or at the Carnival in Rio. This is also when a pig got slaughtered (also check out Allan Stevo’s great post on 68 steps to killing a pig on his blog). And of course, this was also the time for making various Easter Slovak specialties. If you ever wanted to make home-made donuts, the Slovak way, here is the recipe. 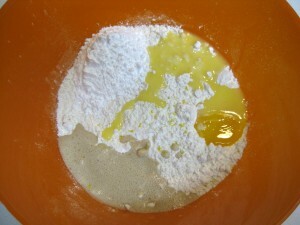 Of course, I recommend you go to your grocery store to buy flour instead of dusting it off your pantry shelves. To start making these Slovak fried pastry donuts, we first need to make the dough. Start by dissolving yeast in little bit of warm water or milk. Combine all ingredients, except for jam in a bowl, and add the yeast. If you want, you can use the left-over egg white to make strawberry frosting. 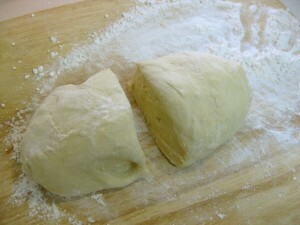 Mix for about 15 minutes, folding over, until the dough becomes smooth and no longer sticks to the wooden spoon (varecha). 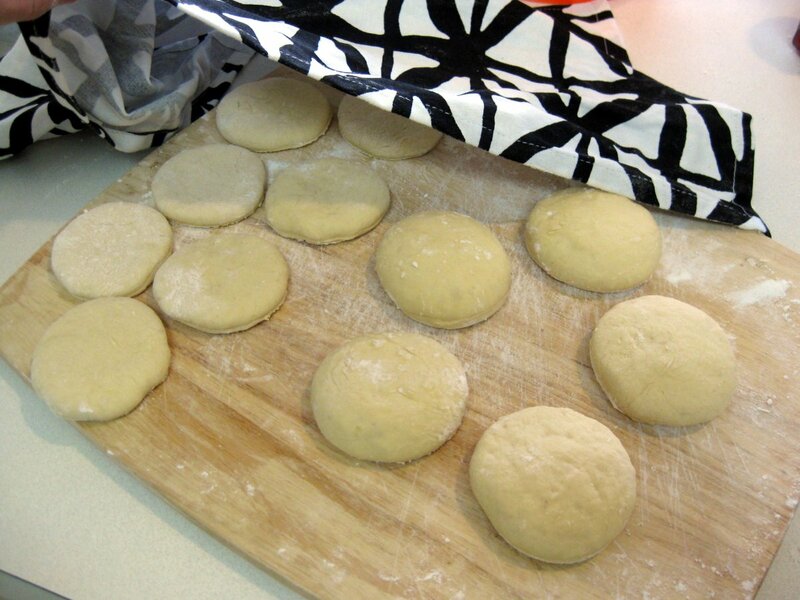 Dust with flour, cover with a cloth, and let rise. Since I made the dough at 2 am after coming home from a play/bars, I put it in my cool basement and let it rise overnight. 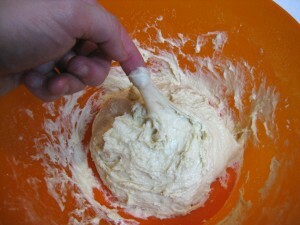 After the dough has fully risen (meaning that after you poke it with a finger, the dough does NOT snap back and the dimple remains), transfer it out onto a board dusted with flour. Separate into manageable pieces. Roll the dough out to about half inch thick. Then dust the rim of a small drinking glass with flour and use it to cut out circles from one side of the rolled out dough with a twisting motion of your wrist. Mark off the same number of circles on the other side. 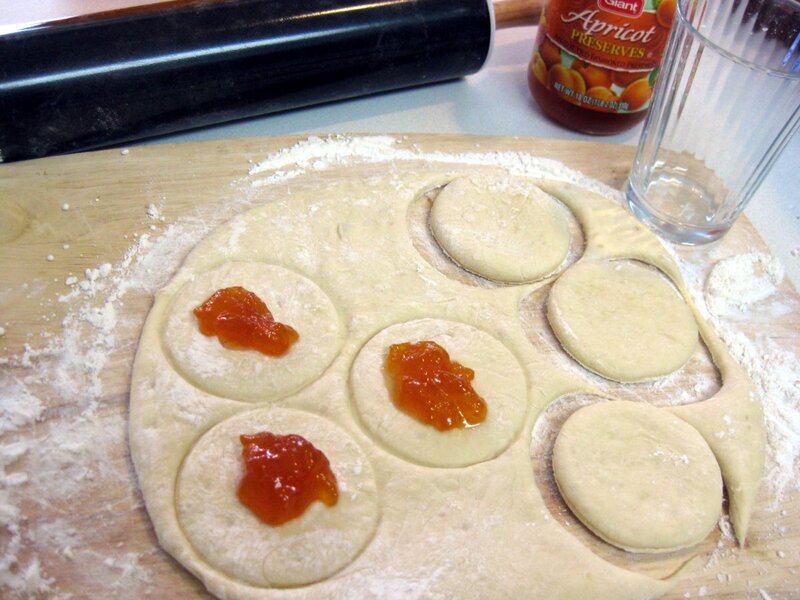 Place about a teaspoon worth of apricot jam (marhuľový lekvár) to the center of these marked circles. 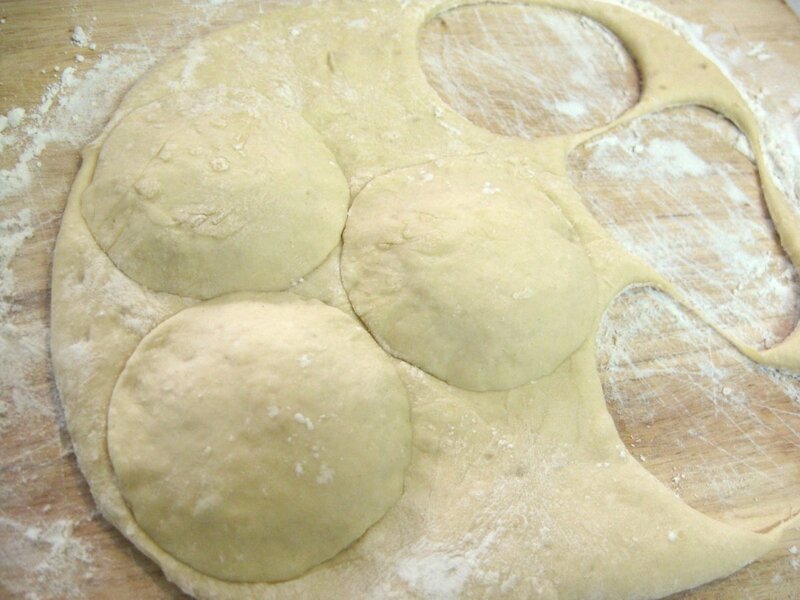 Cover each with one cut out piece, and press shut by pressing down with your finger as you go around the circle. Then take the glass again, and cut out the donut. This will further help seal the jam in. I ended up with five of these filled donuts. 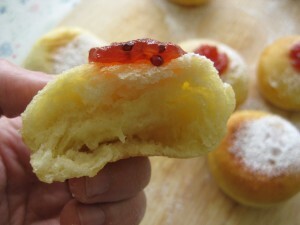 The second half of the dough was used to make a simpler version of šišky: ones that are topped with jam after frying. 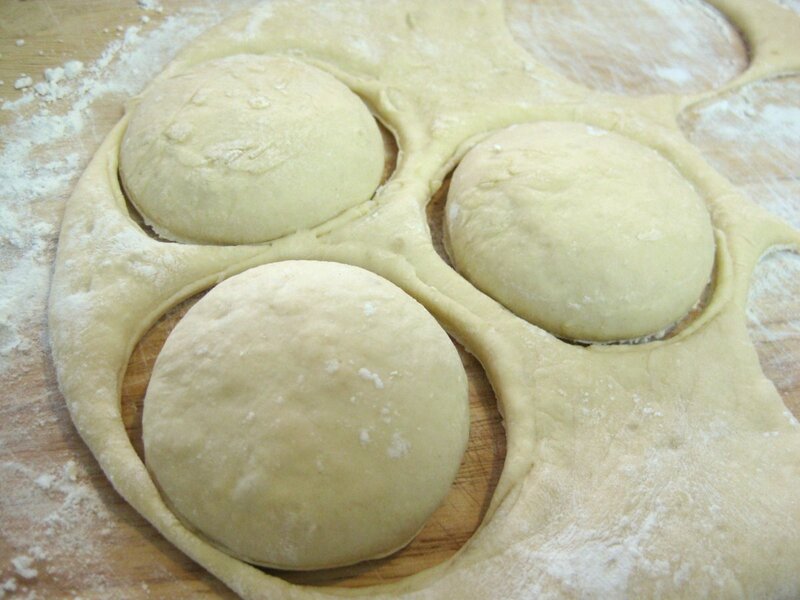 To make these, roll the dough slightly thicker and just cut out circles. Done, no filling required. Cover the donuts with a cloth and let rest for 15 minutes. 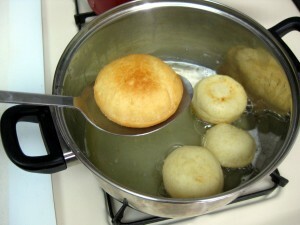 Then to fry them, put quite a lot of oil into a pot or a frying pan. There should be enough oil so the donuts float. If you don’t put in enough (like me), you will end up with the center getting darker than the rest of the donut. No big deal, but they’ll look better if you use more oil. Keep the oil temperature low. Fry them from both sides until they start turning pink/light brown. I used two butter knives to flip them over. Carefully spoon them out with a spatula onto a plate covered with paper towels to soak up the oil. 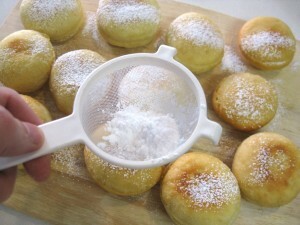 Then top the with powdered sugar by shaking a strainer over them. Then top some with raspberry jam (malinový lekvár) or with strawberry foam frosting (jahodová pena). Enjoy! These were really delicious, and not too over-sweet as so many other deserts out here. When dissolving the yeast in water, how much water do I use? I need everything spelled out, sorry and thank you. Hi Rosie, not a lot, just enough for the yeast to float. You can go to the knedla recipe to see few photos of what this is supposed to look like. You can use milk or water, either one is fine. Just make sure it’s lukewarm. 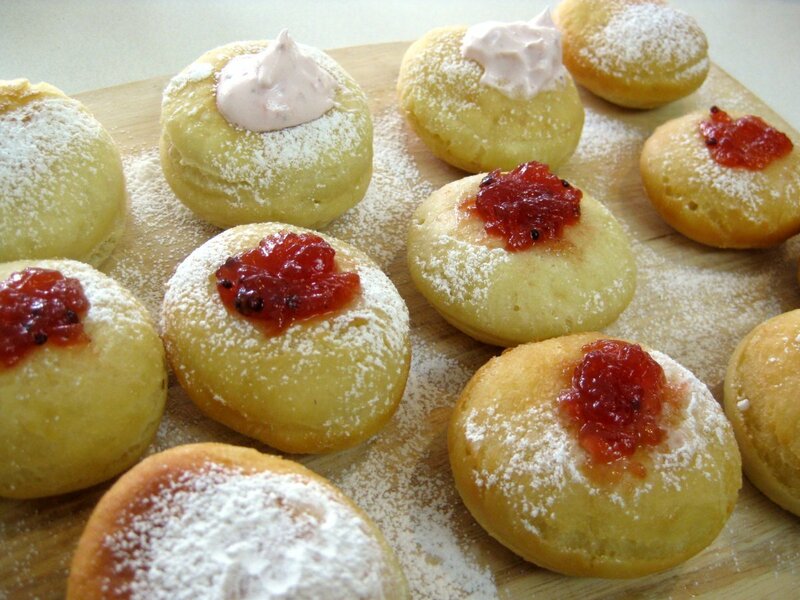 I just finished making a large batch of Fastnachts(german Donuts)similar but the german donut has mashed potato in the dough.I am going to make a batch of the slovak donut with the strawberry foam frosting.It looks delicious! Interesting! Can’t say I have ever heard of donuts made from mashed potatoes. Are they sweet? I made these for a project at school and my classmates loved them. They wanted the recipe themselves! They are great! Hi Lidija, thank you for sharing. Can you describe how you stretch them? Because I couldn’t quite figure out how to get that dimple in mine. Well, I thought the top will sag once you put jam on it but it really didn’t. Do you basically squish the middle in just before putting them in the oil? Hello do you have to put fruit on them, I just remember my dad friying them throwing them into a paper bag and putting powder sugar in the bag and shaking them up? Of course not. Top them with whatever you like. i have made this heaps of times as my slovak mother in law taught me. its great to find this website! though I am australin my partner appreciates me cooking his traditional slovak foods! Hi Lenka, how do you fold them the old fashioned way? Kind of like pierogi? And how do you seal them? This way, the glass actually helps seal the two pieces together. I fold each end of dough over the jam and pinch each end closed. Yes Lubos its kinda like pirohy infact very similiar. I tried the glass thing and for me sisky came open. I would like to see how you master yours. A friend taught me to make these a loooooong time ago, and I wanted to try and make them again. (can’t remember) But, she used wondra flour for the entire recipe and I do not remember yeast?? Also, she mixed everything on her counter. Robila som fašiangové šišky podľa tohto receptu. I did carnival rolls with this recipe. My Mom was Slovak and my father Czech. I can remember my mother making sisky. 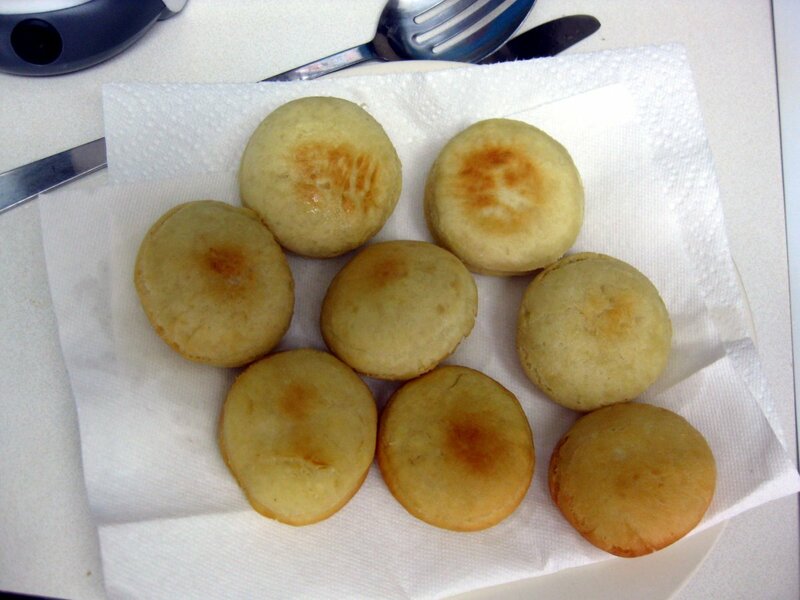 Sometimes she would just add raisens to the dough and fry them without filling and then powder sugar them. This was a faster way when she was in a hurry. I do not have her recipe, but will try yours. I think she added a drop of whiskey to the dough. This brings such fond memories of my grandmother and her sisky. My grandmother did not have a lot of money but always fed anyone who came to her house and shared whatever was cooking on her woodburning stove. 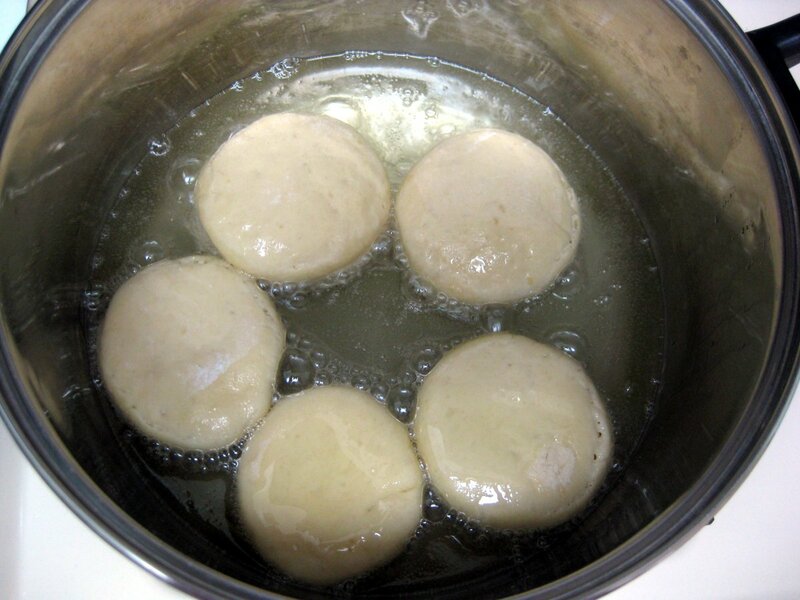 It seemed we always visted a day after the sisky was made because they were always a bit hard but still delicious because my sweet grandmother made them. Hi. I love sisky. I tried making once and they turned out well. But question on the yeast. Is there a particular type that I should get? Instant rise or not instant rise? Or if there is a special one I should buy? Thanks so much. Thanks for publishing this recipe. We grew up with Gramma’s sisky. We put apricot lekvar on top with a dollop of whipped cream. She pulled the dough a bit so the center was thinner. She used whiskey instead of rum. It was said the whiskey would make the dough lighter. I think she fried in homemade lard. What a treat! Best on the first day. I may make some for Thanksgiving dinner with the family. I don’t think we’ve have had these since Gramma passed away in 1968. My Nana made these all the time. I’m going to give it a try. What type of oil is used? I thought she used melted lard but I may be mistaken. Thanks for the diagrams. Love your site! I wouldn’t be surprised if she used lard, as that was more popular back in the days. It may also give you the more traditional flavor. I however just fried them in vegetable oil. Thank you so much for this recipe. Like so many others, I haven’t had these since my Busha passed away. I did have her recipe, but it got smeared when she was baking and I couldn’t read all the ingredients. She never put any rum or whiskey in hers,instead she put raisins . She used to make a little ball, stretch it and make a twist. Topped with powered sugar or icing. I’m not too good with yeast recipes, but I sure will try this one! I made these for church today (Easter) because we were having a breakfast. I made them smaller (a little bigger than doughnut holes) and just rolled them in sugar. I also did them in my Fry Daddy rather than the pan. They turned out delicious! I’m excited to make these. I’m 3/4 Czech and have gone over to the Czech republic 5 times, I love it. I would love a good recipe for the garlic soup if anyone has one. My family loves fruit dumplings and bread dumplings. Pastries that my Grandmother use to make recipes have been lost, so I did find a great recipe for apple pastry that is very much like hers on a Czech cooking channel. Treats similar to these were made popular in Michigan by the Polish community of Hamtramck, near Detroit. Called “paczki” (pronounced poonchski) they originally were only commercially available with raisin filling and only on Fat Tuesday, the day before lent begins. 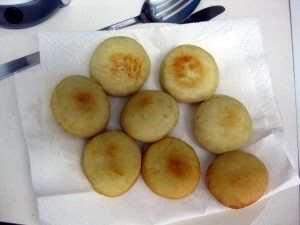 Now they are available for several weeks and come with a variety of fillings. Correction – these were originally made with prune filling, which is rehydrated dried plums. Made these today, and I think I did well, although I have nothing to compare them to! They are all gone and were delicious – mine were a little doughy around the center where the filling is, but I’m not certain how to fix that without overcooking the rest of the donut. I don’t mind a chewy texture. I used strawberry preserves and plan on trying out other fillings. Thank you! Made these today but my kids said they tasted more like deep fried dinner rolls than donuts but maybe that’s how they’re supposed to be.